Thoughts from Northwest Developmental Biology Meeting! I did quite a bit of traveling around the Pacific Northwest in March. 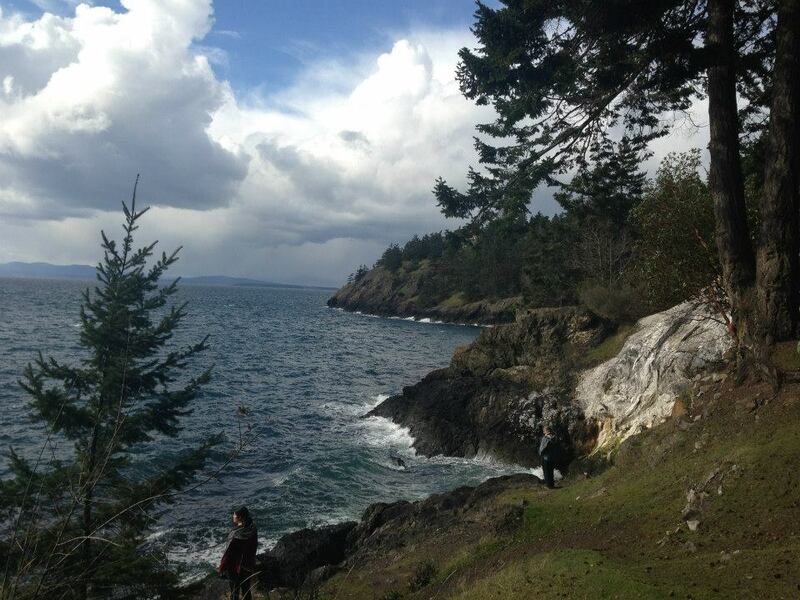 The first was my yearly pilgrimage to the Friday Harbor Laboratories on San Juan Island for the Northwest Developmental Biology Meeting! This was my FOURTH straight year attending, which makes me feel both old and excited at the same time. NWDB is the regional meeting of the Society for Developmental Biology, and it is by far one of my favorite meetings that I have ever attended. The setting is BEAUTIFUL, the audience is engaged and relaxed, and there is a mind-blowing amount of cool science. Think summer camp for scientists: AWESOME. Apparently I only attend conferences in beautiful locales. For the second year in a row, I submitted an abstract to present a short oral presentation, and was selected. I was scheduled to give the very first student talk of the meeting. This was pretty exciting for me, especially since I went last in 2013. That year, I spent the entire meeting worrying about my talk and didn’t get to totally appreciate the other speakers. I woke up at 6 am (yikes) to practice my talk a few times, and headed over to the conference hall around 8 to eat some breakfast and grab a seat before the hour-long plenary talk. However, I barely had time to finish my bagel when the moderator walked up to the microphone and said, “Due to a scheduling conflict, our plenary speaker will be moved to the end of this session. Please welcome your first speaker, Emily Fawcett”. Thankfully I am fully functional in the morning and one of the few scientists who doesn’t need a cup of coffee to be coherent before 9 am, but my initial response? I even believe the first sentence I said when I got the microphone went something like “I am so not ready for this” followed by a nervous giggle. The best thing I’ve ever said into a microphone? Probably not. But did give me at least a second to compose myself? You betcha. Now, when I give a talk, I have the benefit of studying a really cool but completely off-the-wall topic. Not many people think about stress memories and even fewer people think about hydrogen sulfide, so I’ve had a LOT of practice convincing people that it’s something worth studying. Just call me the used car salesman of H2S memory. I’ve also recently started to overcome my “nervous talking equals talking at 1,000 mph” problem. There is nothing that confuses your audience more than rattling off unfamiliar science at the speed of an auctioneer. My goal? 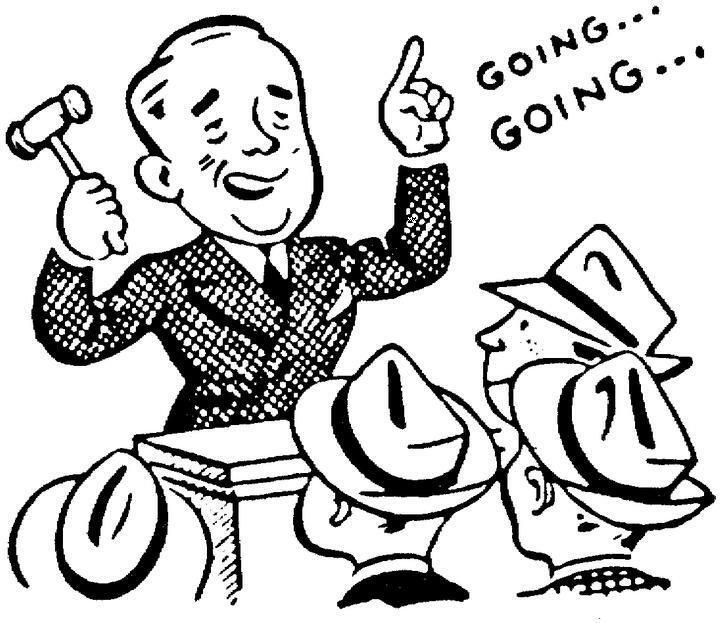 Be more understandable than an auctioneer. 10 or so minutes later, I had successfully (and at an adequate speed) navigated through my talk. And, importantly, I could even remember giving the talk after I had finished! This may sound trivial, but for the first year or two of public speaking, those 10 minutes would have been a huge black box that I would never fully remember. Ok great, the talk is over and I think it went pretty well. But now? Now it’s time for…. dun dun dun… QUESTIONS. I have always been irrationally afraid of the question section of scientific talks. I have never been particularly confident speaking on my toes, and so my nerves have often gotten the best of me. I’d say that I am just one of a huge number of grad students that experienced the dreaded Impostor Syndrome in graduate school. It is really hard to look around a room of scientists and think of yourself as a colleague, as opposed to an insignificant dummy that got into graduate school by mistake. It’s taken me 4 years, countless tears, several boxes of tissues to catch those tears, and a whole lot of grunt work to acquire the confidence necessary to not completely fall to pieces in front of a crowd. Hmmm. Ok. This is a curve ball. Wasn’t most of my talk presenting evidence that my hypothesis was at least feasible? Did he not believe any of it? Oh no. 2 moments of panic in less than 15 minutes?! This was becoming quite unfortunate. However, since he had asked the question so quietly, I had the benefit of a few seconds to gather my composure before answering. I leaned up to the microphone, and slowly repeated the question verbatim. I will forever be grateful for the murmur of giggles that quickly swept around the room. A well-known P.I. in the front even yelled out with a huge smile on his face: “Oh, you know, I’d probably say about 50%?!”. Ok, everyone understands this is a tricky question to address. I then took a deep breath, broke into a smile, and asked the man to clarify which part of the hypothesis he’d like me to address. It turned out that he had a totally valid concern which I quickly addressed and concluded my talk. Once again, I had survived a talk. SUCCESS! I guess I went into so much detail about this short oral presentation because I think it highlights not only the terrifying inferiority complex we face as graduate students but also the progress I’ve made to tackle it in the last 4 years. Talks will never go exactly how I want them to go and there will always be things I want to fix about them, but they are lessons learned and baby steps in the right direction. That final question I received, which gave me the biggest amount of concern, has even become sort of a joke within my training grant. No one will ever listen to me speak again without being tempted to ask that question, and we’ve even all come up with our favorite “answers” in the event that we get that question again. Overall, NWDB 2014 was another fabulous success. The science was incredible, the feedback I received was invaluable, and the friendship I strengthened with my training grant cohort and fellow graduate students is irreplaceable. Onto the next one! Next stop? Madison, WI! This entry was posted in Life as a grad student and tagged grad school, grad student, imposter syndrome, NWDB, oral presentation by frombehindthescope. Bookmark the permalink.